Unilever’s latest product launch in the UK shows that “Big Food” is just as capable of innovation as entrepreneurial start-ups. As the UK market leader in mini-meals and owner of the No 1 brand in instant pot products, Unilever clearly doesn’t intend to leave the reinvention of the category – growing at 20% annually – in the hands of upstart brands. 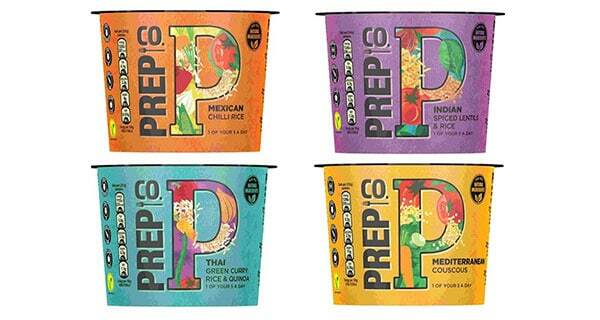 It has created a new brand called Prep Co alongside its existing market-leading brand, the mass-market Pot Noodle, targeting health-aware consumers. It is backed by a £1-million multimedia marketing campaign. Its “better-for-you” credentials are based on using all-natural ingredients with no artificial colours, flavours or preservatives. Each pot also delivers one of the recommended ‘five a day’ of vegetables. The instant pots are made by adding boiling water and weigh 252g after preparation. Each pot delivers between 6g and 12g of plant protein – important to many health-conscious urban consumers – and most ingredients are flagged as being “from sustainable agriculture”. Once synonymous with quick and easy junk-food and seen as the centre-piece of the student kitchen cupboard, one-pot foods are now being re-positioned with healthier options. A number of start-ups have come into the category, but they struggle to make headway. Their struggle will be harder now – with Prep Co Unilever has taken away their chance of creating a point of difference or of positioning themselves as more-virtuous, all-natural brands offering something that ‘Big Food’ can’t or won’t offer. Not only that, but with the benefits of scale on its side, Unilever can both capture the customers willing to pay a premium for naturalness and health – Prep Co is sold at a 100% premium to mass-market Pot Noodle – while looking like great value compared to the start-ups, which are positioned at a 50%-100% premium to Prep Co.
As a strategy, it’s always better to actively reinvent your category and create new brands and new segments than to sit with your existing brands and watch new entrants grab the opportunities. In the past ‘Big Food’ companies would never have adopted such a bold strategy – leading many to conclude that the new entrants would reinvent every market. The launch of Prep Co shows that there’s nothing inevitable about that outcome.